There is much for us all to celebrate in our recent CQC Inspection report and today's staff survey results. There are common themes in each of these reports about how our staff feel about working at NUH, which includes pride and a desire and commitment to doing the best job for our patients. Today's staff survey results signal we have a strong level of staff engagement, which is a reflection of the work we have done over many years to involve staff in all we do and the decisions we make. This distinctly different way of working involves harvesting the ideas of our staff. It started in earnest in 2009 with the launch of our hospital-wide transformation programme Better for You, and has gone from strength to strength ever since. 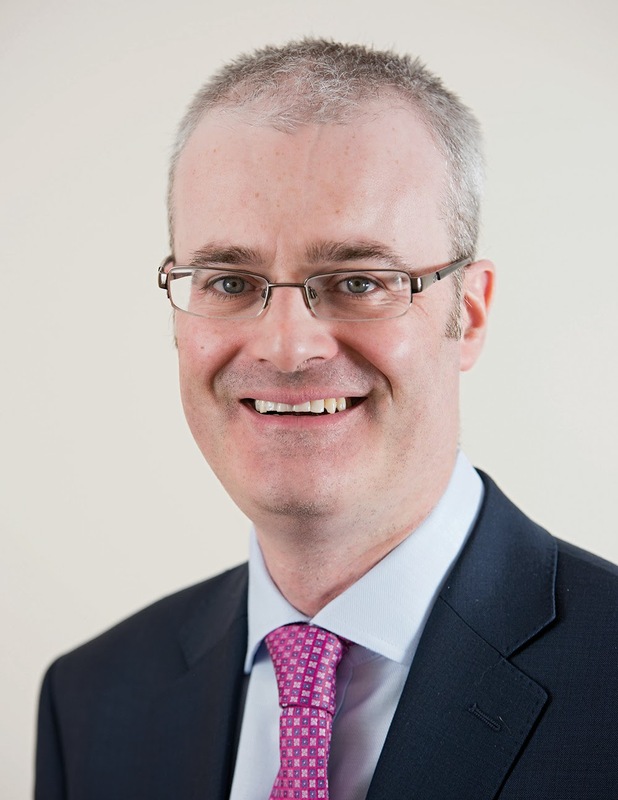 It is pleasing that the vast majority of our staff feel able to contribute to improvements in their own areas of work which lead to a better experience for our patients and staff. As with patient surveys, we never look at our staff survey results in isolation. 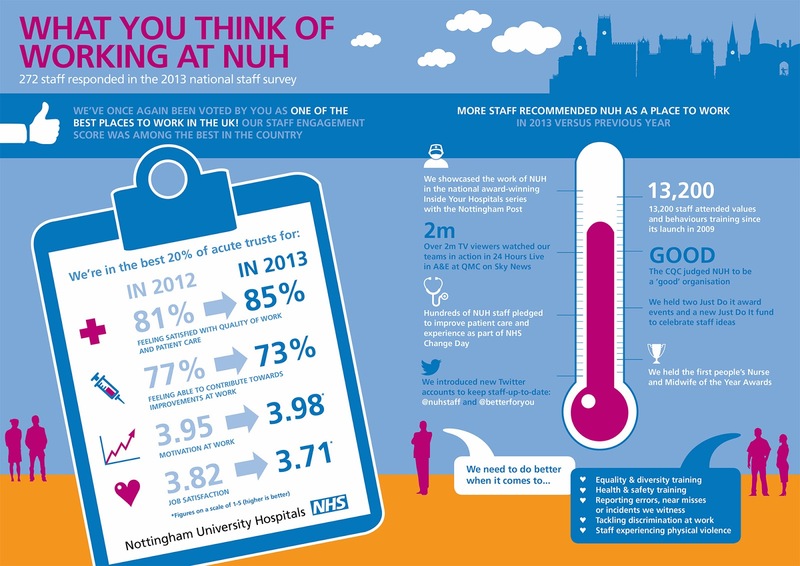 It is important we look at all feedback we receive from our staff throughout the year to get a 360 degree perspective of what our staff truly think of working at NUH. This helps us to celebrate what we do well, and identify where we need to do better based on direct feedback from our staff. To get a broader insight into staff experience at NUH, over the coming months we will be launching the staff version of the 'friends and family' test, asking our colleagues whether they would recommend our hospitals to their friends and family. We ask our inpatients, Emergency Department and maternity patients the same question to get a view of our patients' experience. Combining our patient and staff results will be all the more powerful and give us an even greater insight into how we can continue to improve standards of care for those we serve. We will also be completing an audit of our values and behaviours. This will involve asking our staff and external stakeholders whom we work closely with for their views on how we do when it comes to living the NUH values. This feedback, which will come from holding a mirror up to the organisation, will also help inform our future work to improve our culture, or the way we do things. What the CQC Report and these staff survey results demonstrate is we are moving in the right direction. We are a continuously improving organisation. We know this from the feedback we receive from or patients and staff and our year-on-year safety and quality improvements. We have a track record of learning from mistakes and when things don't go to plan. We listen to feedback from our patients, local community and staff. We put things right when we fallen short. Each of these characteristics are hallmarks of the way we do things. It is this culture that we continue to develop year on year, for the benefit of our patients, their loved ones, carers and staff.